After the Fallen tore off one of Prime’s thrusters and finally detaching it after defeating the Decepticons in Transformers: Revenge of the Fallen, Transformers Dark of the Moon Super Bowl trailer reveals that Optimus Prime has new jet pack thrusters. 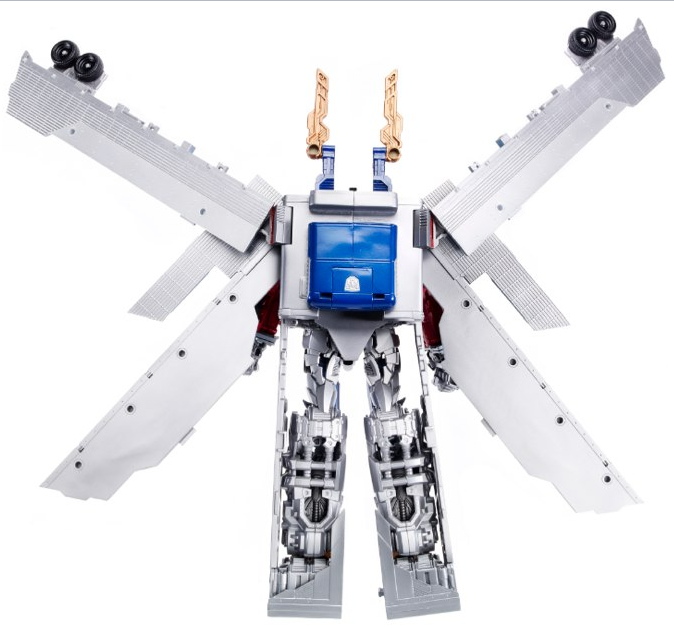 This image shows the butterfly jet pack as describe on Ultimate Optimus Prime Dark of the Moon toy which converts into mech suit from his trailer. Compare the two images below and discuss below your opinion.